01.29.18 by JenniferPosted in Featured Post,Inspiration Boards,Look What We Found! 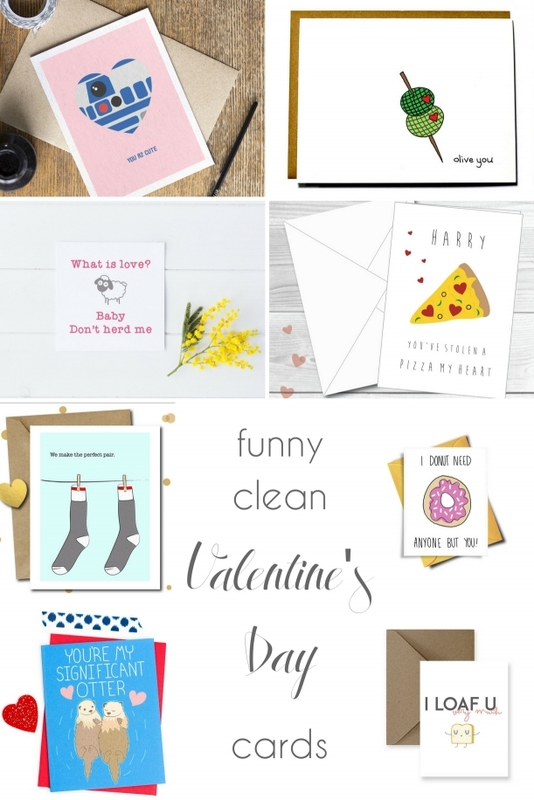 I love a good play on words, and – sometimes – when looking for sentiments it’s hard to find funny clean Valentine’s Day cards. Well, I scoured the web for a few cute sayings for you to send to your sweetie when the love filled day rolls around. Etsy affiliate links are used in this post, and a purchase made helps keep our blog going. Take a peek at these funny clean Valentine’s Day cards featuring fun word changeups! Now it’s time to add in a tiny bit of pop culture into our funny clean Valentine’s Day card selections. Socks, pizza and… well, you’ll see. 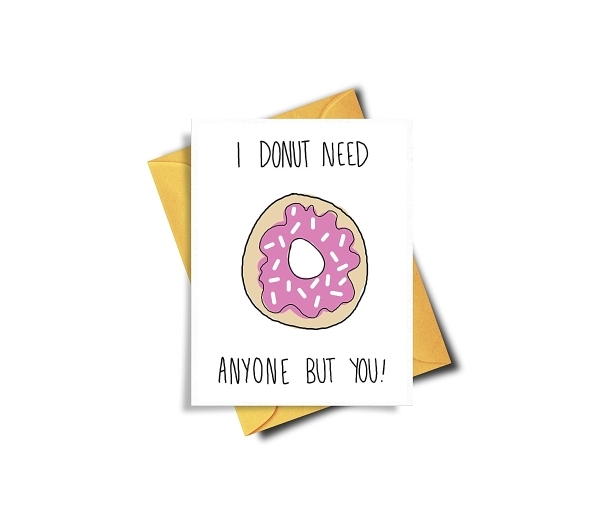 Take a peek at our last collection of funny clean Valentine’s Day card for you to share! Does your beau love to travel? Take a peek at these fab gift ideas if so! 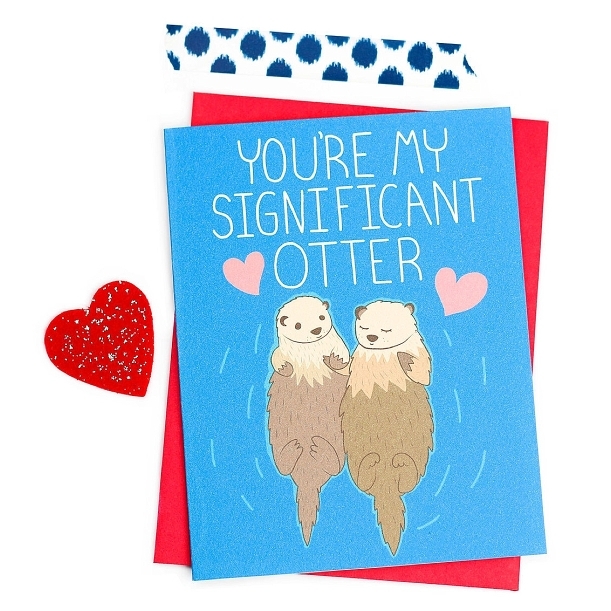 Emily Fata, www.EmulatingEmily.com - These are the cutest Valentine’s EVER! SO sweet! My best friend got her boyfriend the Significant Otter one for V-Day last year and he’d gotten her this otter plushie. It was so cute! Holly Lasha - These are super cute cards. I love finding new ways to say I’m thinking of you and new unique card ideas!